Organic Weave offers impeccably designed, hand-made rugs, using century old techniques. Working with international third party certification agencies, we can verify our commitment to sustainability. Rugs are offered in Flatweaves, Hand-knotted Tibetan and Persian weaves, as well as Hand-tufted rugs. Made in India. Certified free of child labor. 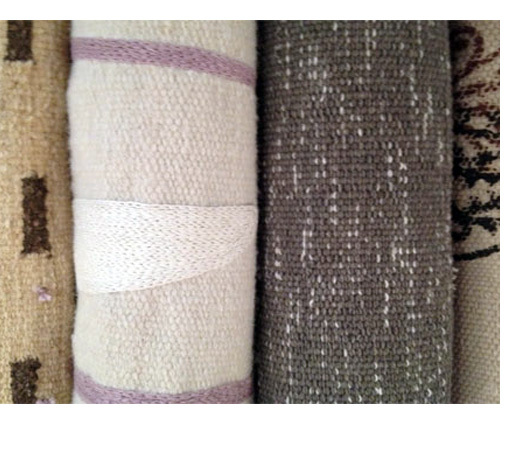 Organic Weave rugs are offered in Flatweaves, Hand-knotted Tibetan and Persian weaves, as well as Hand-tufted rugs. Made in India. Certified free of child labor. We’ve eliminated all pesticides and chemicals from every stage of production. Choose from our certified organic dye system of 120 plus colors for organic wool, cotton and silk. We also offer undyed wool, cotton and silk. Organic Weave's yoga rug is handmade from densely woven pure organic cotton so that they retain their shape. We recommend them for all types of yoga and other exercises since they absorb moisture (sweat). Our yoga rug may be customized in your pattern, colors, or embroidered logo. 100% organic cotton, flat-weave.